By the end of the week it will be officially Fall! 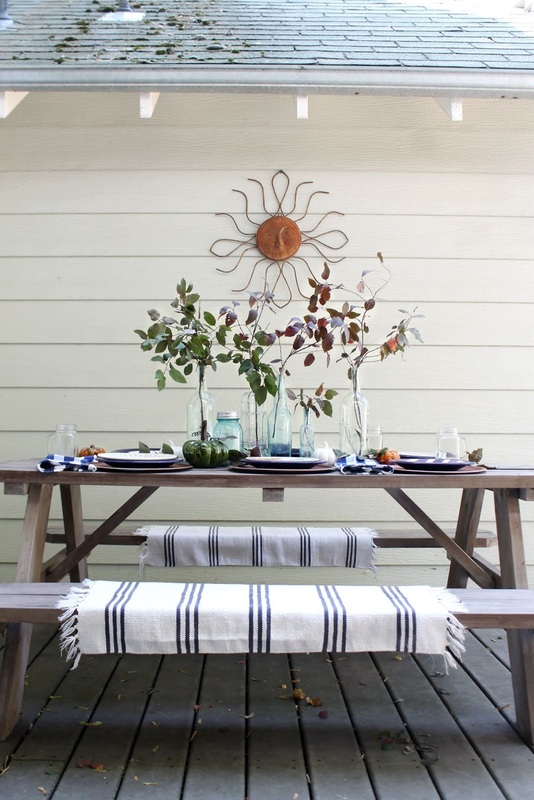 Fall is, in my opinion, the perfect season to dine outdoors. Not only is the weather the Perfect temperature, but the views are usually the prettiest of the year. There is something so magical about the trees when they all start to change colors. Don't you think so too? 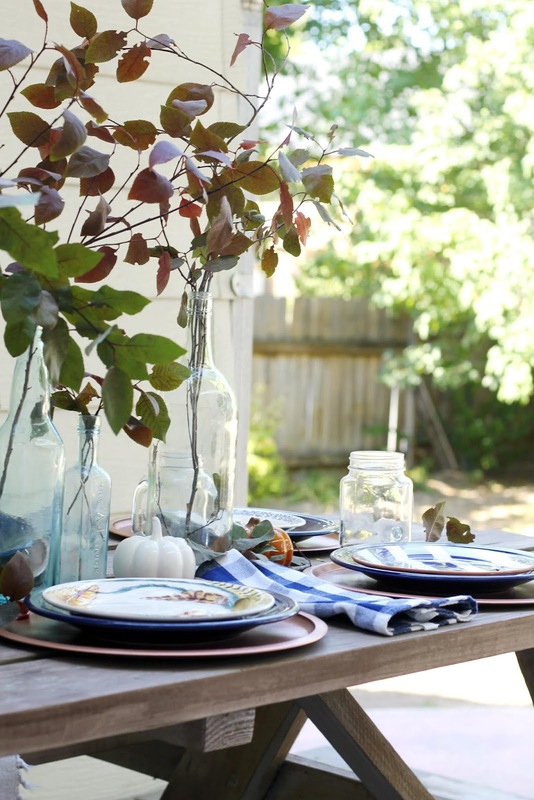 To celebrate the new coming season, I put together a casual outdoor fall tablescape where my little family can gather and enjoy a simple meal together. 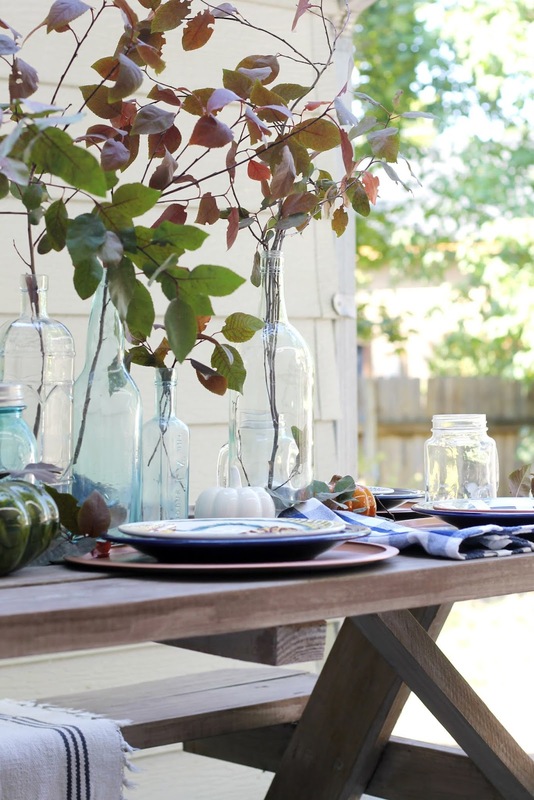 I'm also teaming up with a group of bloggers who are all sharing a thoughtfully designed fall tablescape on their own blogs. 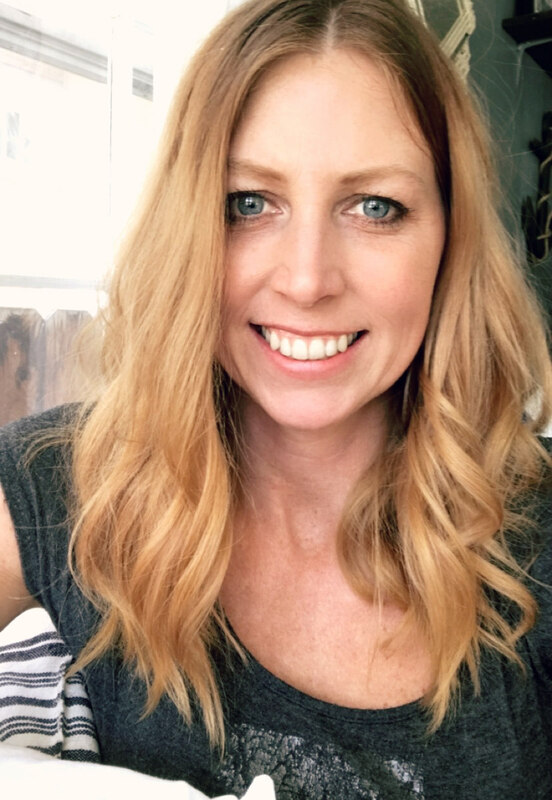 A warm thanks to Alicia, from A Burst of Beautiful for including me in this festive tour. 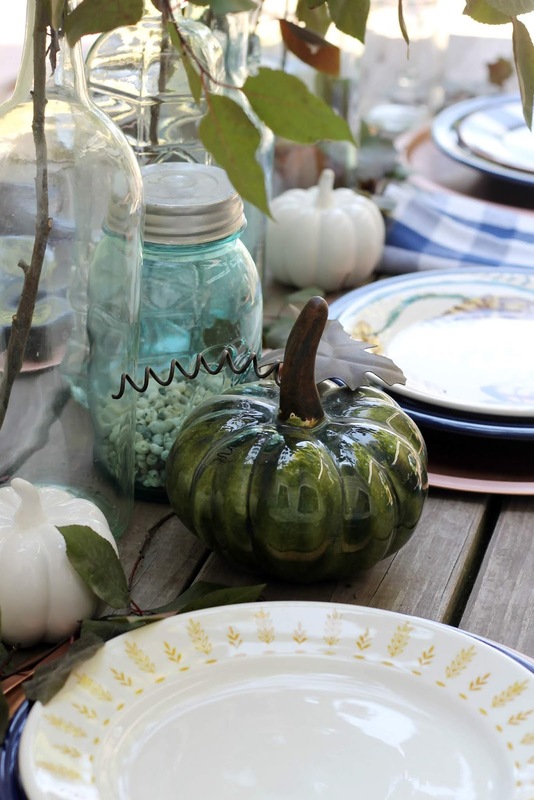 When I started planning out how I wanted to decorate my fall tablescape, I wrote down a long grocery list that included things like, a bouquet of fall florals, a bushel basket full of orange mums, some fresh glazed doughnuts from the bakery, a jug of apple cider, and a variety of pumpkins if they had any available just yet. But before I ventured out to the grocery store, I thought I'd set up the basics. 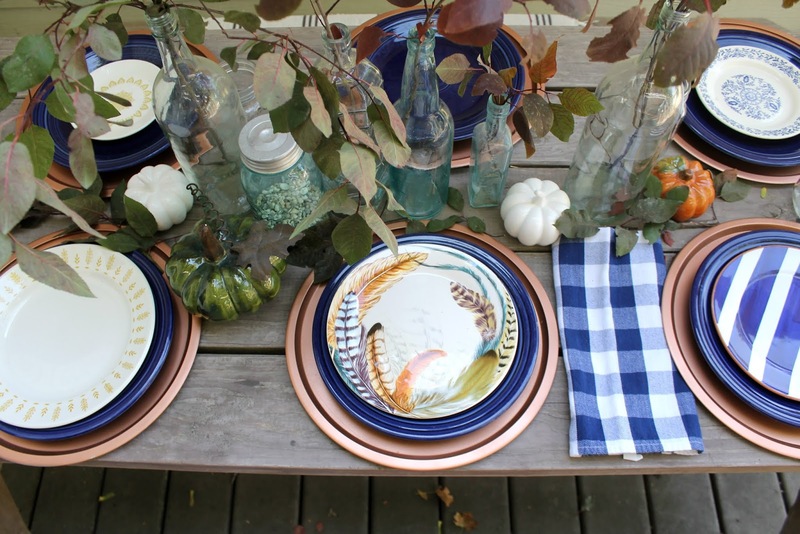 I used my Copper plate chargers that I made for my last years fall tablescape. I placed a cobalt Fiesta dinner plate on top of the charger, and then I mixed in some of my collection of random thrift store salad plates. I think it's fun that every place setting is a little different. 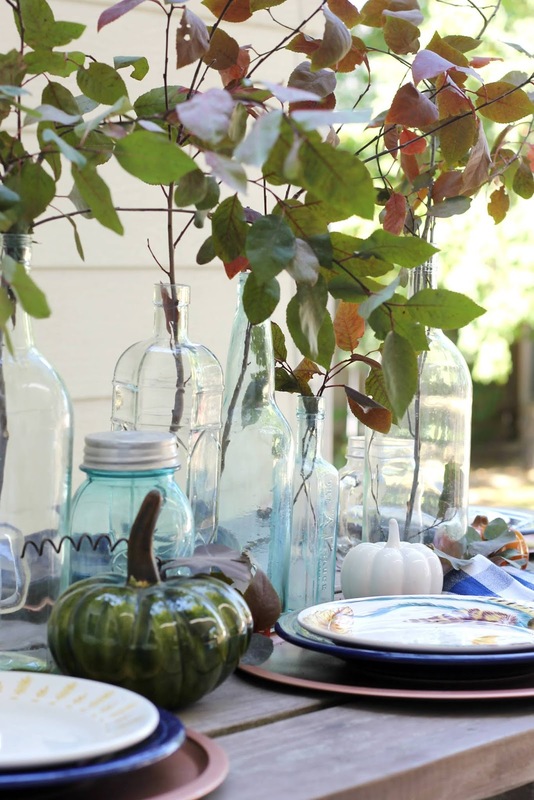 I arranged some bottles down the center of the table and then I placed a bunch of fresh clippings inside of them. I have a bush in my backyard that's just barely starting to change colors and so I thought that some clippings from it would be perfect to use for my centerpiece. Just in case the grocery store didn't have any real pumpkins in yet, I dug around to find my small collection of ceramic pumpkins. I set them along the center of the table. 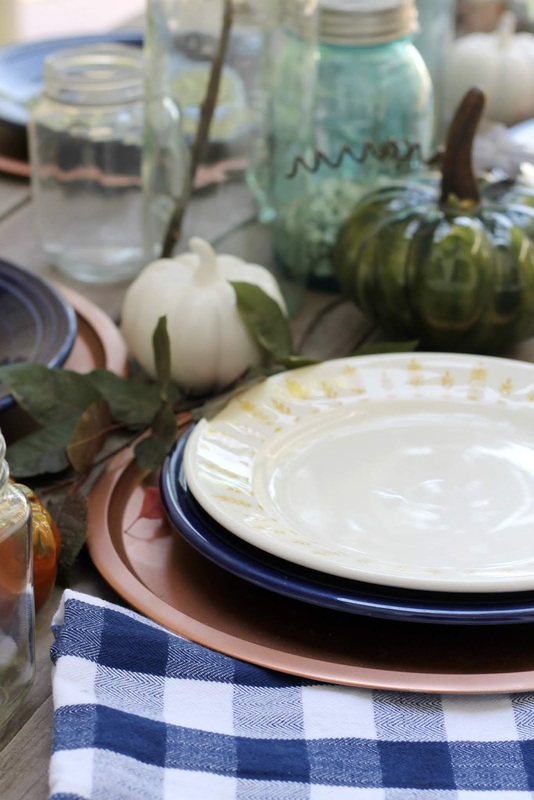 Hopefully this post will give you some ideas on how to create a casual fall tablescape without spending a dime. 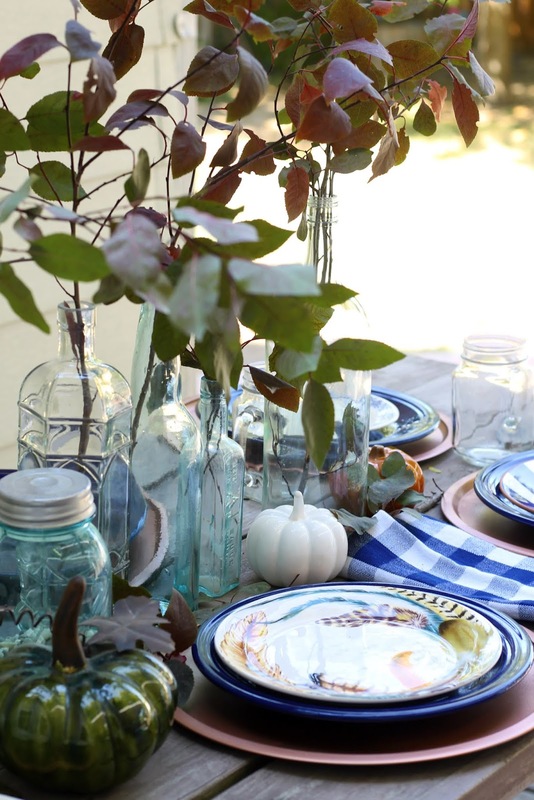 For even more fall tablescape ideas be sure to check out what these other very talented bloggers have come up with. This is sooooo pretty! 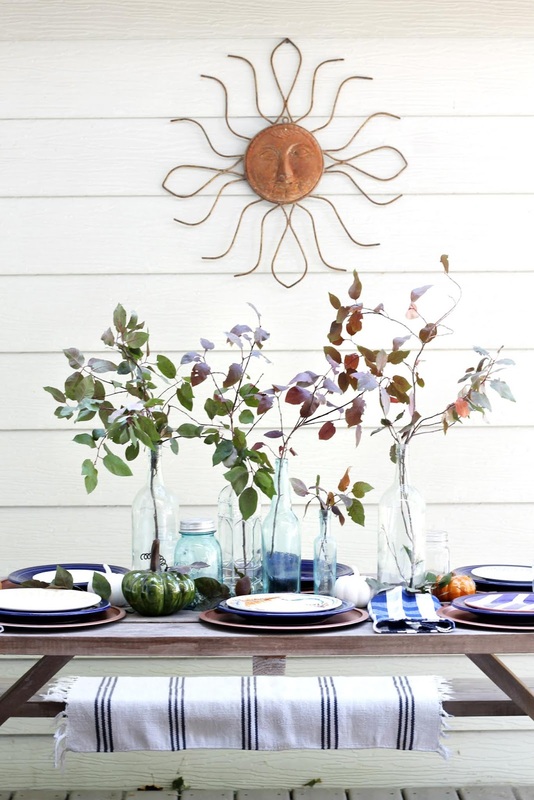 The pops of blue are lovely! 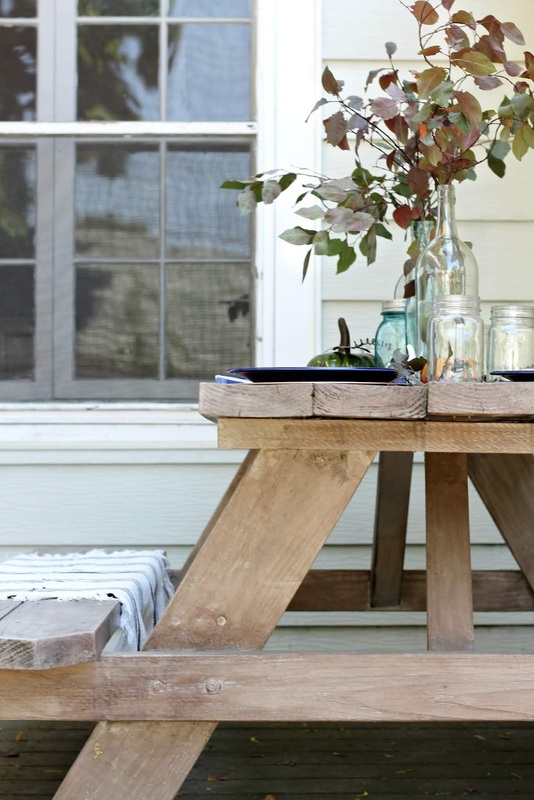 Also, fall al fresco dining is a MUST!